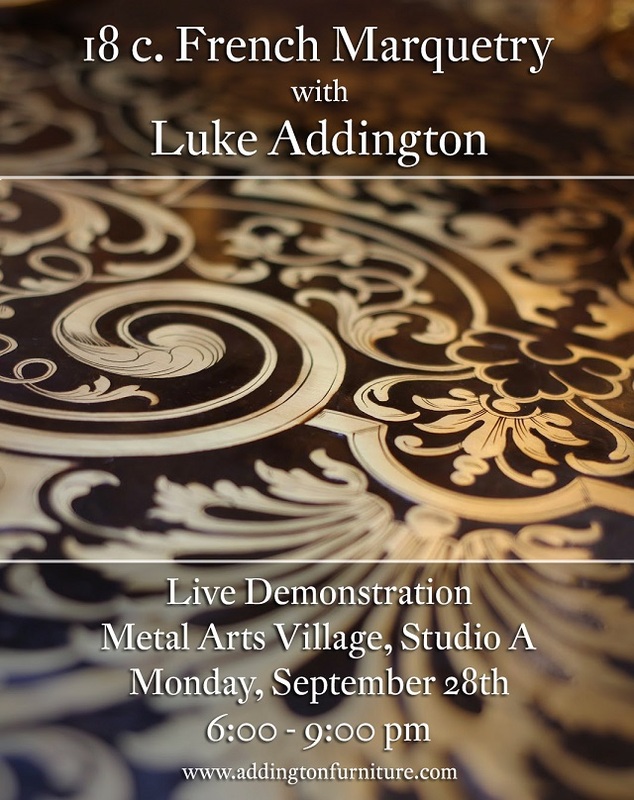 This Monday I will be doing a Boulle Marquetry demonstration at my friend and great stone sculptor Joe Brown's shop, Studio A at the Metal Arts Village here in Tucson, from 6pm-9pm Monday the 28th. We only have three hours but I hope to demonstrate each step and finish the evening with a few copies of a Boulle flower to give out. I'll be bringing in multiple marquetry projects at various stages of completion to use as teaching aids. I'll also be sawing up some veneers to illustrate the difference between traditional thick sawn veneers and modern thin sliced veneers.